What a week! The month of October was emotional. Aside from treatment and everyday life, it is Breast Cancer Awareness month and that brings a new set of emotions for me and my family. 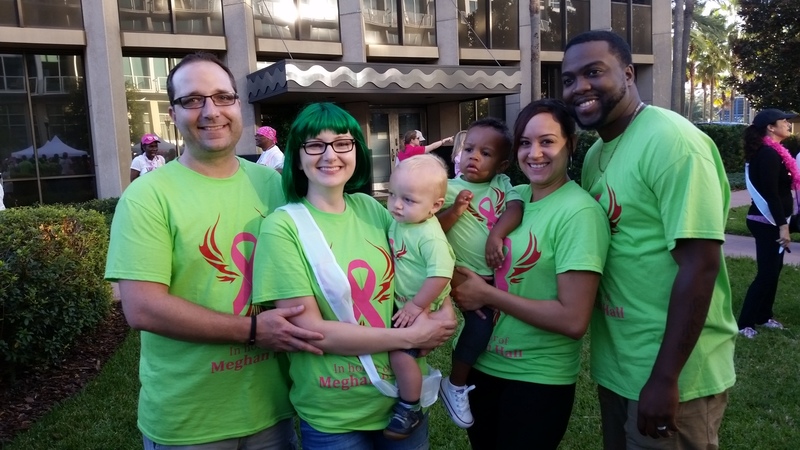 We have always worn pink in support of awareness, however we hadn’t been intimately affected by this horrible disease. 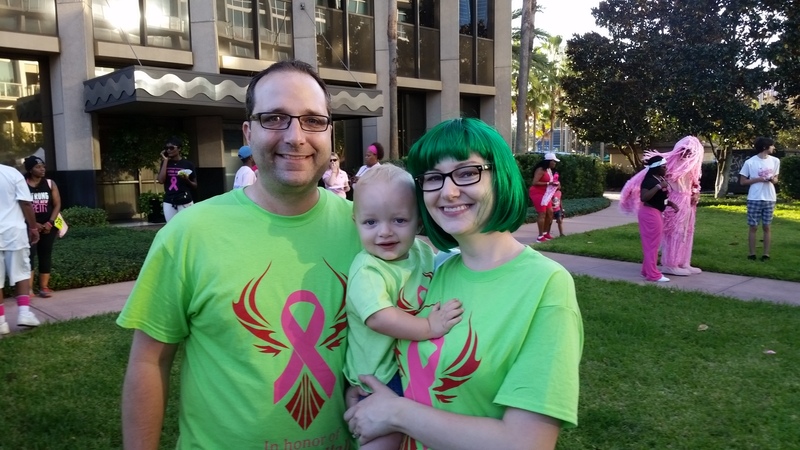 Now that we are fighting the battle that breast cancer brings, October has an entirely new meaning for us. 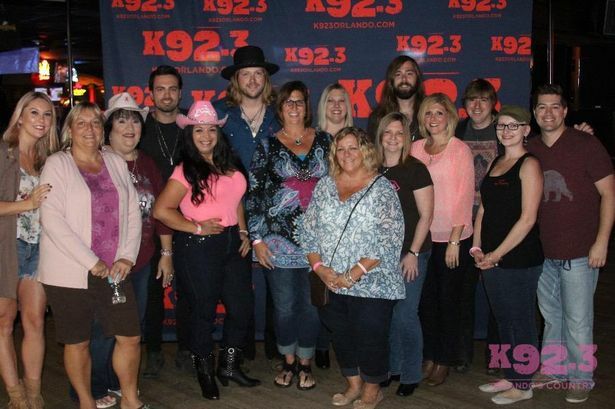 The week began with a meet & greet opportunity thanks to our local Country Music station – K92.3. 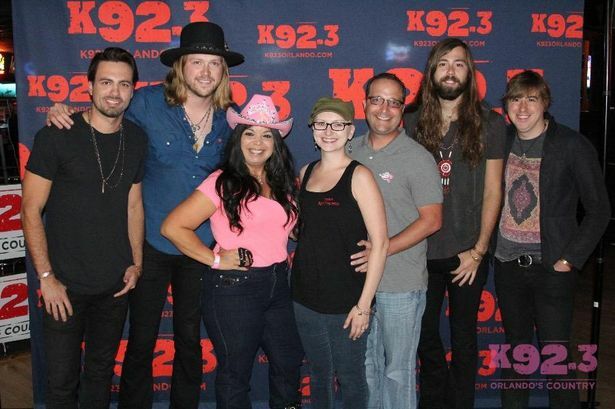 They arranged a delicious dinner for Survivors and then Joe & I met the band A Thousand Horses. We met some of the strongest, kindest and funniest women ever that night – all warriors who have beaten breast cancer! It was a blast and such an incredible treat to be surrounded by so many strong women and their loved ones. 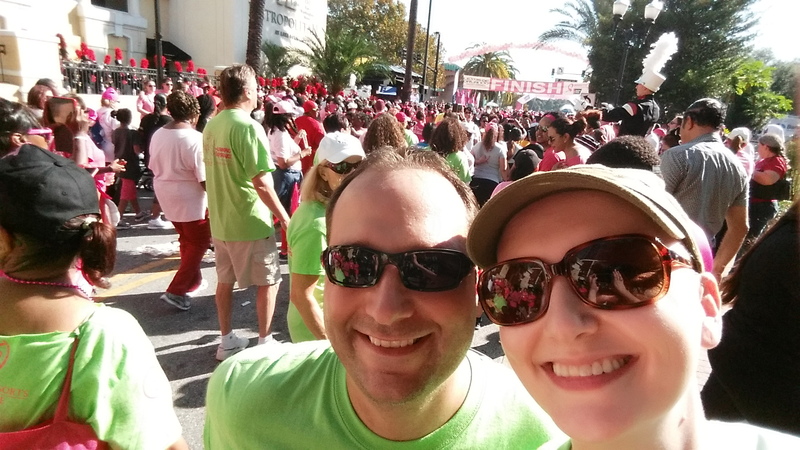 Yesterday we had the honor of walking in Orlando’s Making Strides Against Breast Cancer Walk. 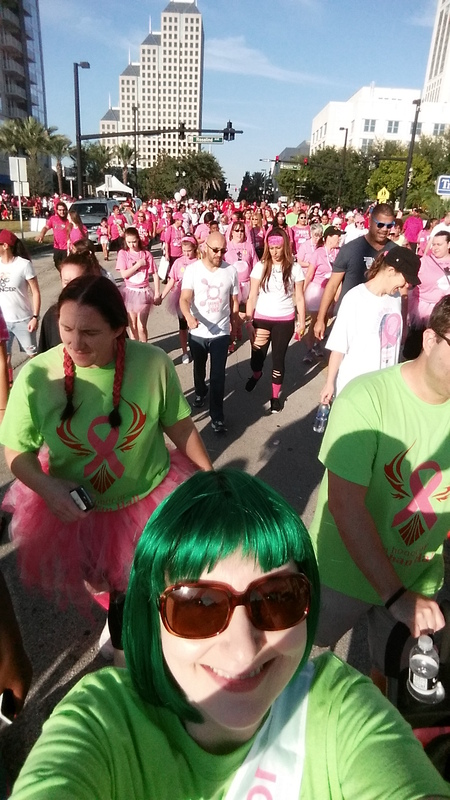 It is the 2nd largest breast cancer walk in the country and over 60,000 people attended yesterday! 60,000! Little man’s daycare sponsored me – yes, me! The wonderful ladies at daycare had shirts made especially for the walk and friends, teachers, parents and families all came out to walk alongside us. It was incredible. The amount of people who have been affected by breast cancer is truly astounding. The Survivors – the strong, determined women who would not give in to this disease – were truly an inspiration. It was a humbling morning filled with tears, laughter and fun. Despite the heat, we finished with a smile on our face. 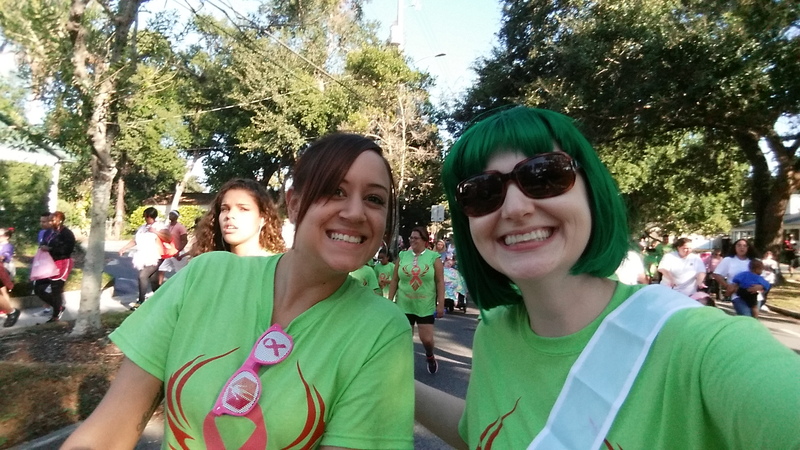 It makes me excited for next year – when I can truly say I SURVIVED! Beautiful. I love the green wig!